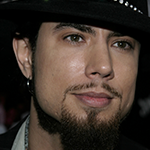 Dave Navarro, lead guitarist for the punk rock band Jane’s Addiction, found his “tomorrow” in the late 1990s when he kicked an addiction to cocaine and heroin. He says he hasn’t intravenously used drugs for 15 years and has been sober for the past four years. In 1983, when Navarro was only 15 years old, his mother and his aunt were murdered by the boyfriend of his mother. Navarro says if he wasn’t at his dad’s house that night, he most likely would have been killed too. He attributed his drug use as a means of escape from the trauma of his mother’s death. Navarro joined Jane’s Addiction in 1986. His entire life has been one challenge after the next, walking through fear to emerge on the other side. One of his greatest challenges was meeting his mother’s murderer in prison. After the meeting, Navarro commented that he can now tackle the rest of life’s challenges more easily. Navarro’s music career really began when he was in a high school marching band. It was there that he met Stephen Perkins, who later invited Navarro to join Jane’s Addiction. After Jane’s, Navarro played for Red Hot Chili Peppers, and scored his biggest hit with “You Oughta Know” when he teamed up with Alanis Morissette on their multiplatinum album ‘Jagged Little Pill.’ He had the opportunity to join Guns N’ Roses upon guitarist Izzy Stradlin’s departure. 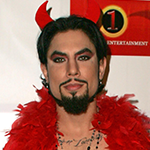 Navarro cited his heroin addiction as the reason for not joining Guns N’ Roses. Navarro also achieved success in reality TV as a judge of CBS’s singing competition franchise “Rock Star,” and as an author with the release of his 2005 autobiography, Don’t Try This At Home. Navarro is now an advocate for domestic violence and admitted he was unaware his documentary is about domestic violence until they were halfway through producing it. The film is a cautionary tale about domestic violence and addiction, and explores alternative methods to move through those traumas. Mourning Son is currently available but a word of caution: The film depicts graphic footage of Navarro using early in his career, and may be a trigger for some. I have a new respect for Dave for overcoming his loss and his drug addiction. I never listened to his music before today after watching his story on Geraldo. He’s very good on that guitar I have watched Ink Master for as long as it been on and enjoy it very much especially with my new respect for Dave.